I spent the summer after my freshman year doing Geophysics research with Prof. Colleen Dalton, Brown University Department of Earth, Environmental, and Planetary Sciences. The topic of my research is seismic velocity structure of the crust and the upper mantle beneath northwestern Canada. This research aims to map the variations of seismic velocity in the crust and mantle of northwestern Canada at six different periods (200 s, 100 s, 66.7 s, 50 s, 40 s, 33.3 s). I used cross-correlation to measure the travel-times of Rayleigh waves generated by 110 global earthquakes with magnitude larger than 6.0 that occurred in 2004 and 2005. My findings confirm the west-to-east transition from lower to higher velocity region found in a previous study (Ekström, 2011). This is because the western part of the region is made of younger rocks that absorb more of the wave energy and thus slows it down, whereas the eastern part consists of older and colder rocks. 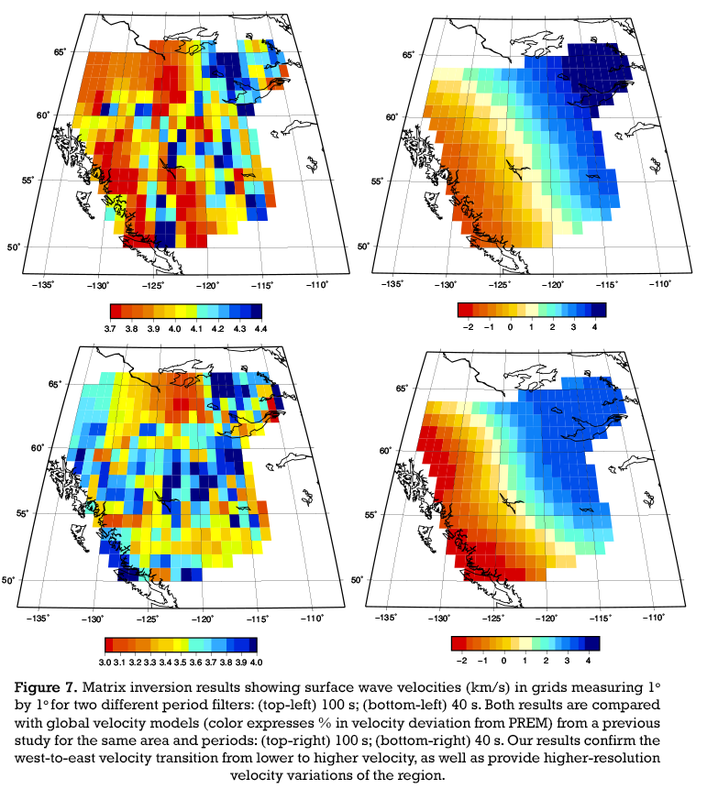 Results of this study also provide a higher-resolution velocity structure of the region. This project was funded by Brown University through Karen T. Romer Undergraduate Teaching and Research Award (2014).